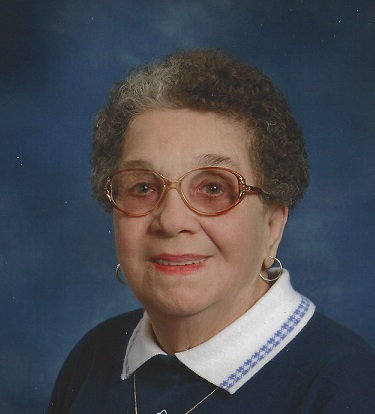 FULTON, NY – Rose Ann Fancett, 81, of Fulton, passed away on Tuesday August 18, 2015, at Morningstar Care Center in Oswego. She was born on November 12, 1933, in Italy, a daughter to the late Antonio Miserentino and Francesca Mezzerisa. Rose retired from Nestle Co. after 36 years of service. She enjoyed volunteering at the Moose and Elks lodges. Besides her parents, she was predeceased by her first husband, Earl White Sr.; second husband, Charles Fancett; three siblings; and three step-children. She will be greatly missed and forever loved by her three children, Dorothy (William) Bowering of Fulton, Katherine (Michael) Jodway of Pulaski and Earl White Jr. of Fulton; six grandchildren; eight great-grandchildren; two siblings; many step-grandchildren and step-great-grandchildren; as well as several nieces and nephews. Calling hours will be Monday, August 24, from noon to 2 p.m. at Foster Funeral Home, 910 Fay St., Fulton. Burial will be in Mount Adnah Cemetery. For those wishing, memorials may be made to The American Cancer Society, P.O. Box 7, East Syracuse, NY 13057, in her memory. Rose will be missed at Prince of Peace Church as she was a member and did a lot for the church also our family will miss Rose for all the rides she gave us to church we thank her for that also she was a kind lady to everyone and will really be missed R.I.P.Rose we love you in Jesus name the Michael Arnold sr family!!! thoughts and prayers go out to the family, she was a very nice person.